After 34 years and due to the tenacious efforts of Adelaide based researcher Keith Basterfield, we can all now look at the previously restricted Department of Transport file V116/783/1047, available in digital form at the National Archives of Australia web site. I last saw this file back in late 1982 while siting in front of Mr. A. Woodward at the Melbourne office of the Bureau of Air Safety Investigation. He had the file open in front of him while answering my questions. I was trying not to be too obviously seen reading the file in its upside down perspective. The Valentich mystery is punctuated with haunting, or rather more appropriately, taunting clues, that sets one off in all sorts of conflicting directions. Many have come up with all sorts of final solutions, that vary from the bizarre to the sublime. Did a UFO abduct Valentich? Did Valentich contrive the whole affair? Did he, as many think, crash into Bass Strait, leaving no trace? Or are other prosaic explanations involved? A multitude of various lines of enquiry radiate out in all sorts of directions. Most take us away from the facts of the matter, namely that no trace of pilot or plane have yet been found. The mystery resonates in the Australian consciousness in a place reserved for more mythic episodes like the haunting fiction of "Picnic at Hanging Rock". It has inspired dramatic works like the profound and confronting play "Sky" and the bizarre and striking TV mini-series, "Locusts and Wild Honey". In November, 1982, I was finally given official permission to examine the Department of Aviation UFO files, but was specifically denied access to the Valentich files on the grounds that they were Air Accident Investigation files and not UFO files. Mr. Hughes of Air Safety elaborated, "the file concerning this occurrence is no more or less restricted than any other accident investigation file. As a signatory to the International Convention on Civil Aviation, we subscribe to the Standards and Recommended Practices contained in Annex 13 to the Convention, in respect of aircraft accident investigation, specifically, when it is considered that the disclosure of records, for the purposes other than accident prevention, might have an adverse effect on the availability of information in that or any future investigation, such records are considered privileged." While in Melbourne examining the Aviation Department's UFO files, I was able to have a lengthy discussion on the Valentich affair with Mr. A. Woodward, the signatory on the official Aircraft Accident Investigation Summary Report, dated May 27th, 1982. He largely reiterated the official department line, emphasising that they were treating the matter as only an "air accident" investigation. He dwelt on a long list of prosaic explanations ranging from diorientation, suicide, to the unlikely prospect of the plane being struck by a meteorite, but conceded that the affair was still unresolved. "So there is much that suggests a UFO connection with the disappearance of (Frederick) Valentich, but unfortunately a final answer eludes us, preventing the comfort of certainty... We must remember that a family waits for an answer that so far has never come. I hope that some day they will find that answer." The newly released files provide some hints at some possible answers and it maybe that ultimately the answer may not involve UFOs. While deep detailed analysis of the data released and reconciling that with the extensive research done on the case by researchers over the years, we may be able to come up with a final answer. But for now Frederick Valentich and the Cessna plane are still missing so final closure may yet elude those who want to know. 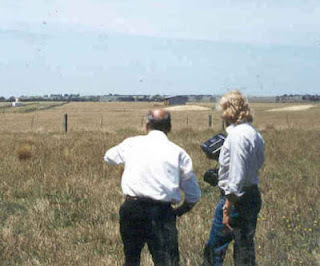 Paul was a prodigious investigator for the Victorian UFO Society (VUFORS) and was instrumental in facilitating the 1967 visit to Australia of Dr. James McDonald. 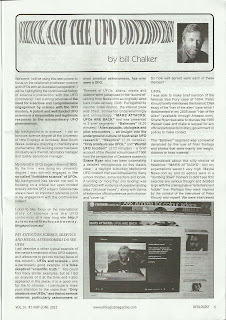 Originally from the United States he had strong ties with the NICAP group as well as other US groups and researchers. Some of the many significant cases he was involved with included the Burkes Flat case of 1966, the 1972-1973 Maureen Puddy affair, the 1977-1978 Leitchville-Echuca flap, the Valentich case of 1978, the 1980 Rosedale landing case, and the 1988 Knowles family case. 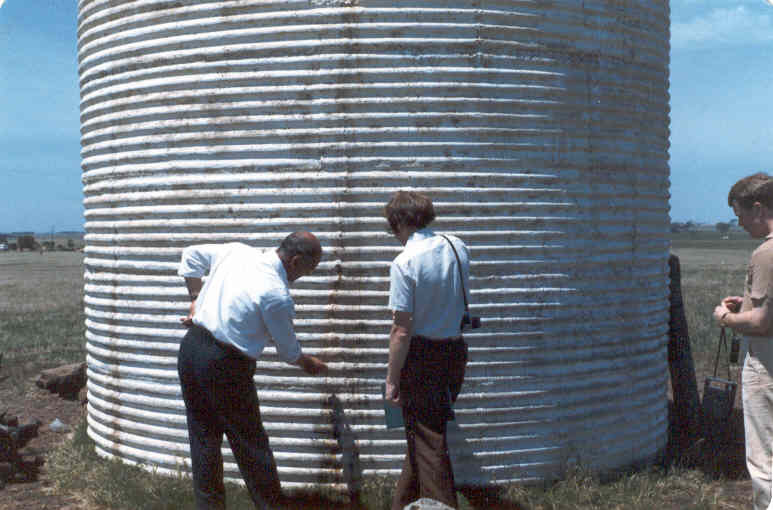 He helped facilitate the involvement of US researcher Dr. Bruce Maccabee in the famous 1978 New Zealand Kaikoura case. A passionate advocate of the VUFORS way of doing things he was fond of casting some groups and individuals as examples of "malfunction junctions" and "armchair ufologists" even viewing me and the Sydney based group UFOIC in this vein (indeed he cast these labels far and wide). I never let these dubious characterisations diminish my assessment of his achievements. 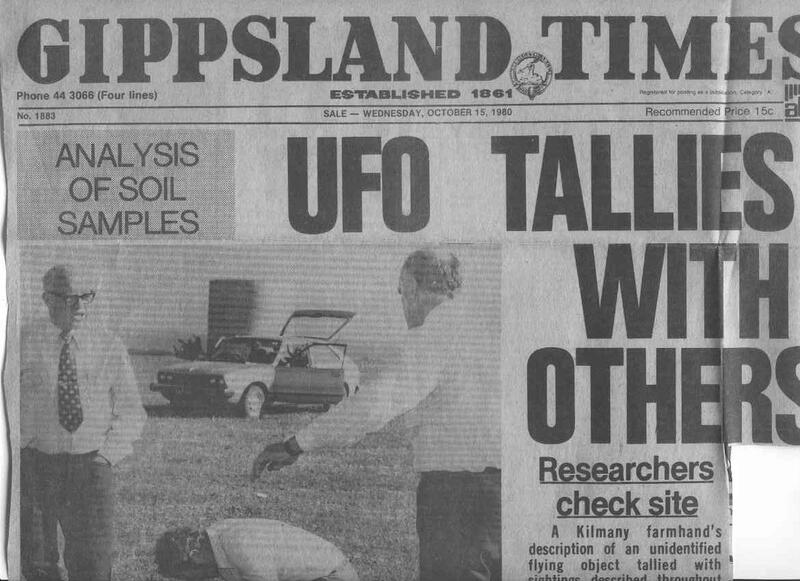 Paul Norman's UFO legacy is both broad and substantial. His extensive field investigations and interactions with media and authorities were sustained and very extensive. Here is the 1980 Gippsland Times story featuring Paul Norman and Pat Gildea of VUFORS with the Rosedale witness George Blackwell. This event was also investigated by Keith Basterfield and myself (both recipients of Paul's "malfunction junction" and "armchair ufologist" labelling), on location with the witness's support and encouragement. 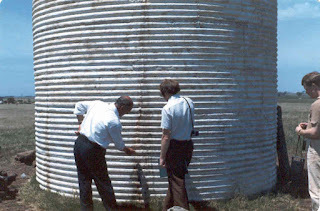 Below are photos of myself and Keith Basterfield with the Rosedale witness on site at Rosedale in December 1980. 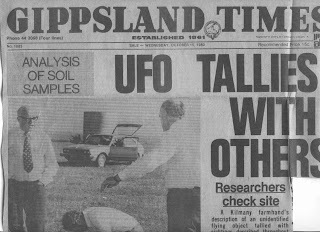 We certainly agreed with Paul Norman's assessment that the Rosedale case was a very impressive example of a UFO landing and physical trace event. Indeed, I would consider it to be one of the best examples of "a close encounter of the second kind" in Australia.